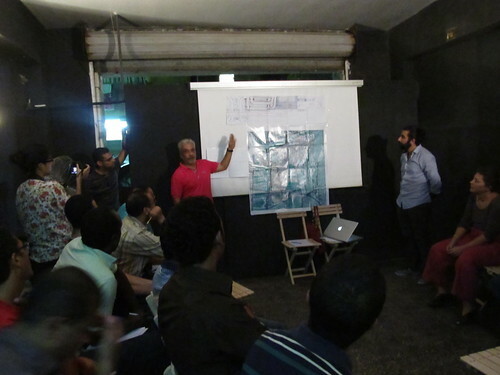 As mentioned in a previous post, we’ve been here in Cairo for the past couple of weeks working with local architects, techies, grassroots activists, and interested residents of the Ard el Lewa community on a quick demo and experiment intended to catalyze the use of open technologies at neighborhood level. 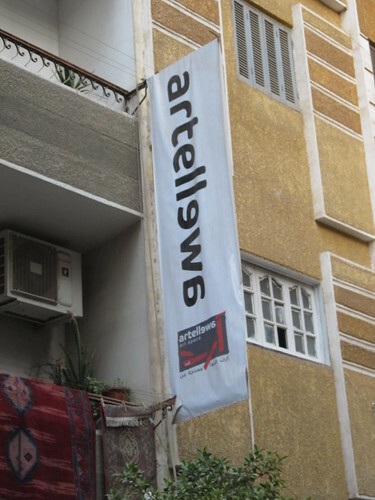 Four four evenings, after the work day was done, we gathered in the screening room of Art El Lewa, an artist space, or next door in the “Twitter” cyber, made this small but good start on mapping Ard El Lewa, and posted a few reports to this demo neighborhood CrowdMap. At the end, on my birthday, I received a great present with the announcement of formation of an Ard El Lewa OSM group! Here’s the before and after. Look closely. From absolutely no POI features at all, there’s over a dozen mosques, churches, schools, bakeries, parking; and several corrections to street names and additional streets. This was edited in just a couple of hours. 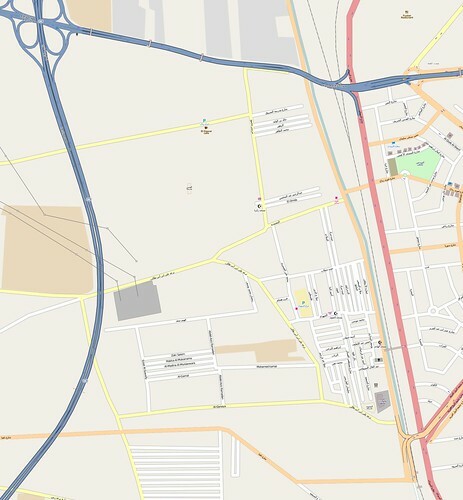 There was a terrific amount to cover in a few quick evenings, not only the techniques of OpenStreetMap and Ushahidi, but more fundamentally, the concepts of thinking and working geographically toward a particular outcome. Zaazaa from Megawra and Omar from Cluster led the initial meeting, in a packed room of participants, including about 12 from Ard El Lewa: from the youth center, popular coalition, political parties, women’s groups; and another 12 from groups outside with interest in the process. Ard El Lewa has strong grassroots networks, and Cluster has been collaborating with them, so it was easy for them to mobilize. Everyone drew conceptual maps on paper of their journey from the bridge (over the railway, one of the few entrances to Ard El Lewa), to Art El Lewa, and we explored the different ways of representing and thinking about space. Then a “find my house” session with Google Earth, that could’ve gone on for hours. Most interesting were presentations from a few local amateur mapmakers, including a grassroots leader and tailor whose hand-drawn detailed designs for a new transit station at the entrance to Ard El Lewa clearly reflect the attention to detail in his day job craft. And another presentation by a young researcher, who’s been collecting street names and their history in Ard El Lewa, using spreadsheets and hand drawn maps; the names are usually sourced from the first person to build on the street, the name of the canal that formerly laid there, a nearby shrine, or some other prominent landmark. 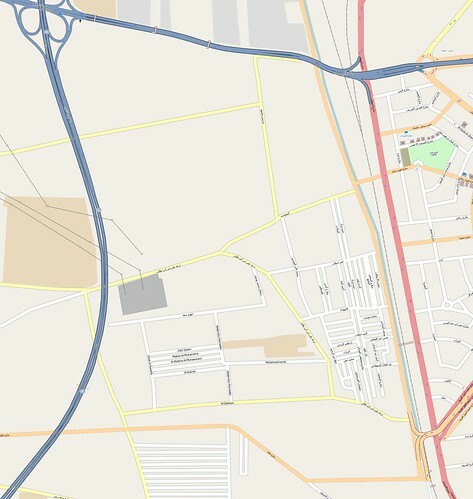 And if that wasn’t enough, Abdelrahman comprehensively covered the basic concepts of OpenStreetMap and GIS, including the differences between raster and vector data. The second day got everyone into the streets, with GPS, and they totally got it, and collected an epic number of points. Ahmad from ADEF learned the GPS in the car ride over, and delivered the training on arrival. Afterwards a detailed demonstration and training on JOSM was conducted in the cyber. On the third day, we presented some examples of how we’ve used maps and media elsewhere, and then Omar led a discussion session to brainstorm uses of the maps and reporting tools locally. This was one of the most inspiring moments, ideas growing from expected things, like using the maps in the planning of new infrastructure in Ard El Lewa, to things like custom book covers for local school children illustrating the location of their school on the map, mapping graffiti art works, developing a website for the community including job postings, and a local business oriented map, whose collection and distribution could create entrepreneurial opportunities for local youth (this idea from the local youth themselves). There were many more that flew by me in Arabic, but honestly, I’ve never seen a community so ready to put technology to work for their own agenda. And as usual, it was a challenging endeavor. There was a lot of material to cover, and not just techniques. Abdelrahman powered through so much knowledge, every day. This would usually be stretched out over a few days, rather than a few evenings. 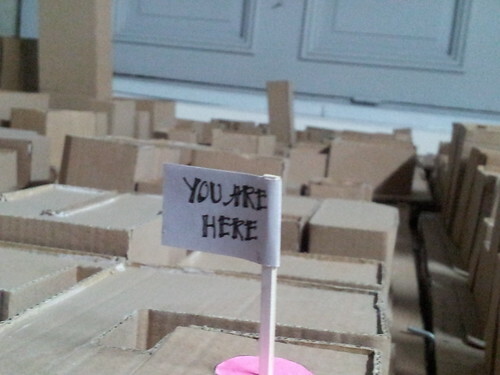 There was so much to explain, participants had less time than I would have liked actually doing. We were also challenged by being split between two open door venues, a separate space for lecture and working, which is sometimes good, but is hard when trying to explain technicalities. Ahmad Gharbeia did hook up a local, open source, screen-casting system using shared desktops, which worked pretty well for sharing JOSM training, and delighted the manager of Twitter. But that was on top of the technical challenge of a cyber cafe that reverted every machine back to a stored disk image every reboot, making it impossible to install the tools permanently. They were very nice however, and served me tea every evening, and the machines were in pretty good condition, with decent connections, and even free wifi for laptops. We, the collective trainers, never had a good opportunity to really collectively pre-plan the program. We all threw in a lot of ideas, and with timing and the moments, did a lot on the fly, but roles were not always coherent. I guess that’s fine, and I practiced stepping back and letting things unfold as they may! Ard El Lewa has a vibrant street life. Hanna said “it’s one of the beautiful things about the informal”. Everything is out in the open, on the street, shared (and of course for sale). I’m grateful that Ard El Lewa was so welcoming to us, GroundTruth and all of the collaobrators. There’s a real tangible pride in what they’ve built for themselves. And with their declaration to form a mapping community, I’m very motivated to help figure out the shape of continuing support, so Ard El Lewa can put themselves on the map. This is the atmosphere of enthusiasm and possibility that opened up at the very local scale in Egypt in the revolution. 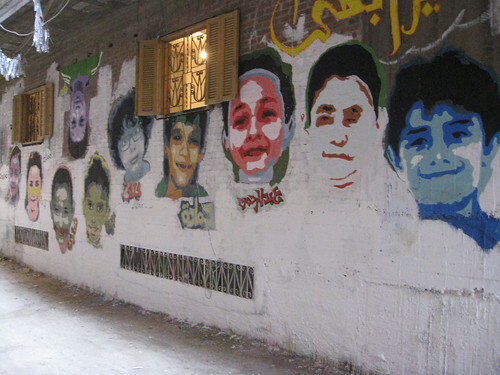 Across Cairo, “popular committees” organized to maintain security in their neighborhoods; some of these are evolving to “popular coalitions” focused on improving local neighborhoods through grassroots development. 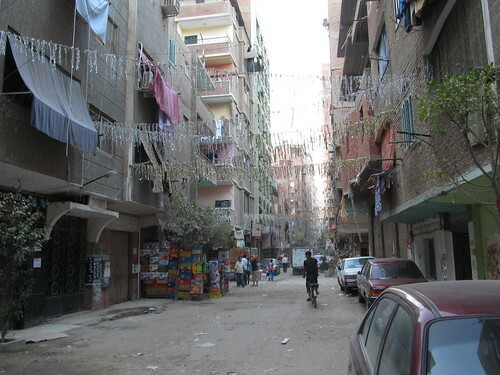 Modern Cairo has been a site of heavily centralized planning, large scale development, and lack of representation for local people in decision making. People did actually make many decisions about their living situation, simply by building informally outside a planning system beyond its capacity to handle the needs of a rapidly expanding Cairo, with estimates of 60-70% of Cairo’s population living in officially informal settlements. The pause of authority in the revolution resulted in countless grassroot initiatives, small and large, to remake the collective city and better serve residents. How this energy will be channeled, into politics, into restructered local government, or in something quite new, is a question being worked out right now in what seem to be typical Cairene chaotic ways. Into this potent brew, enter us, novices to Cairo (except the first OSM mapping party with Abdelrahman back in 2008). 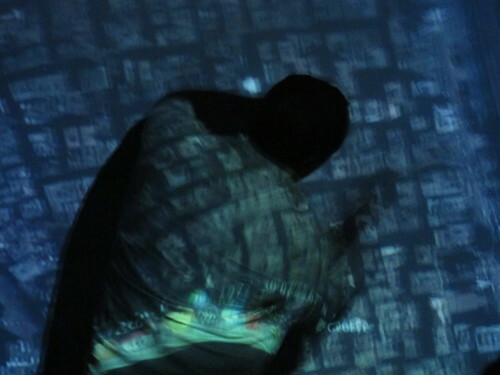 A year ago, Ford Foundation offered travel cover for us to come and share our experiences with urbanists, rights groups, and techonologists, and explore how community mapping and reporting technology could support Cairo’s changing urban life. Well, lots of our life intervened, and then we waited for the right moment, without presidential elections absorbing attention, and not during Ramadan or the heat of summer, and ended up with the right and latest possible moment for arrival here one week ago. That was just a day before this whole stupid mess with the video and embassy protests broke out, which would seem like exactly the wrong time to come. 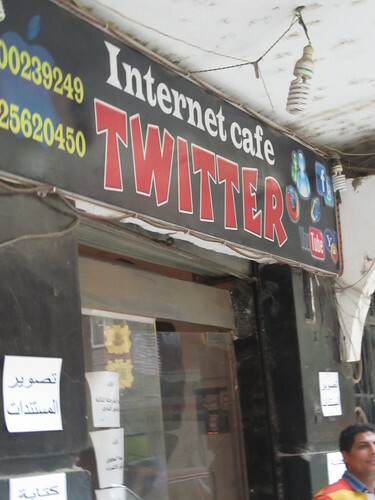 But as it turns out, Cairo is completely and utterly normal (for Cairo), and where we’ve worked at Cluster’s office, just a couple blocks away from Tahrir Square, you’d have no real idea anything was happening worthy (or really unworthy) of global media frothing. 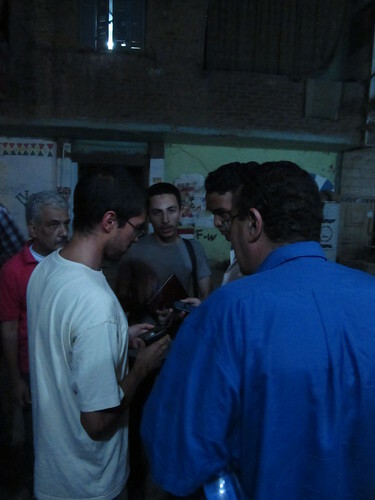 In the quick run up to our trip, we reached out and began email and phone conversations with collaborators Cluster, Takween, Megawra, Arab Digital Expression Foundation, Shadow Ministry of Housing, Cairo from Below, OSM Egypt, Meedan, Egyptian Bloggers, and more and others. Cluster have taken on the role of local host, for workshop space and community introductions; and ADEF are taking the lead on the technical side. Awesome to have the interest and welcome from these folks, especially during our rapid, steep and very much continuing education on urban Cairo. 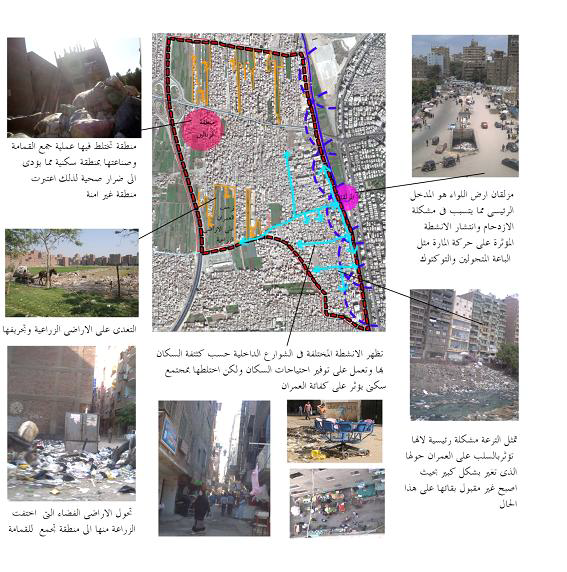 We formed a rough plan around collaborative discussion and design of our previous work, the context in Cairo, and a small pilot demonstration and collaboration with residents of Ard El Lewa in mapping and reporting, with whatever results as raw material for possible adaptation and expansion throughout Cairo. Now, things are constantly taking shape and reshape, and we’ll have plenty more to say soon.